Well I looked around this forum before joining and I'm not sure that this is actually the right place for me or not given the types of cars everyone else has. I just recently purchased a 2009 Golf GTI Mk V and have been trying to find a club or group in the OKC area. Everyone else on this forum seems to have vehicles of a much older breed, so if I've stumbled upon the wrong place let me know and I'll continue my search elsewhere. Yes and no. 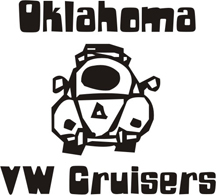 Many of us have the newer variety too, but www.wetdub.com is the watercooled club for OKC and surrounding.